Lobster Size: Various More Info: Beautiful, ample and stylish! 10K Gold is formed into gorgeous bracelet of double, interlocking rings. 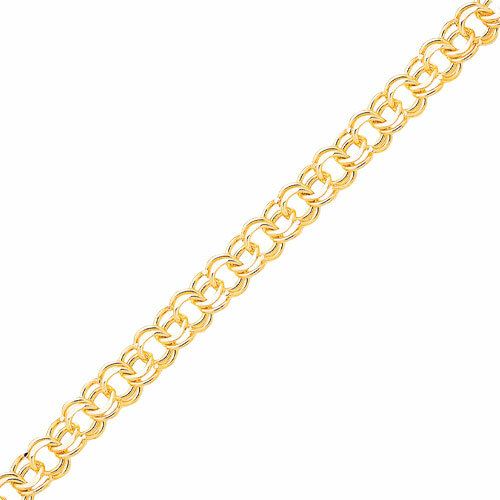 Gold finish is polished as bracelet features lobster claw clasp. Perfect for a bolder statement!